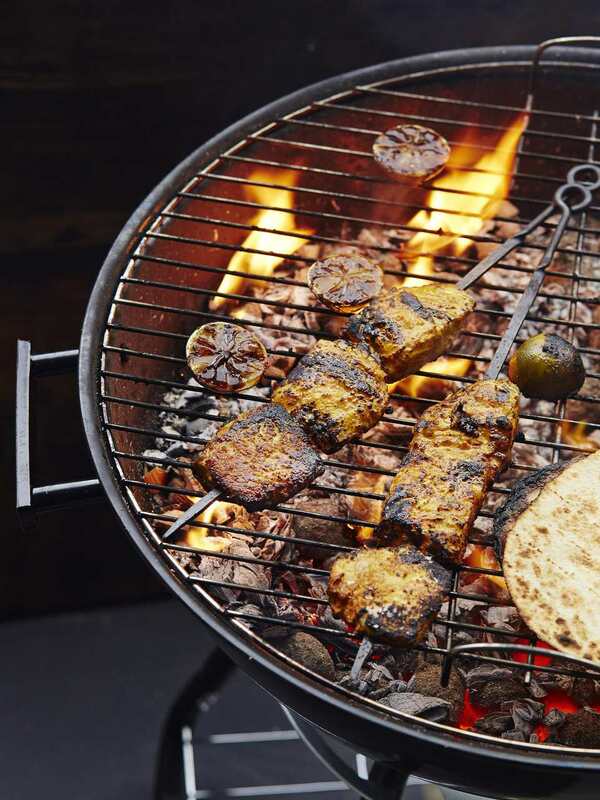 This delicious tandoori marinade is the perfect compliment to grilled meats, seafood, and vegetables. Toast the spices for added flavor or simply mix and use. Add pureed onion, minced garlic, and ginger. Cook for 1-2 minutes. Add spices and cook for another 2 minutes. If mixture is too dry, add in 1-2 tablespoons of water. The spices should be paste-like. Remove pot from heat and add in lemon juice, yogurt, salt, cilantro, and tomato paste. Mix well. Allow the mixture to cool to room temperature before using as marinade. If you opt to toast the spices, make sure they are in their whole form. For instance, replace black pepper with peppercorns, cumin powder with cumin seeds, and use whole cloves. Toast in a small skillet over medium heat for 1-2 minutes, until spices become fragrant. Move spices around while they toast or else they will burn. Remove from pan and either grind by hand with mortar and pestle or place into a spice grinder on a medium-grind setting. Follow the rest of the instructions above for the perfect marinade. Marinate beef, pork, and lamb for 6-12 hours, chicken for 4-8 hours, fish, seafood and vegetables for 30 minutes to 1 hour.